Integrity Finishing is the offers full interior and exterior painting services. We consider working on your home a privilege we don’t take lightly. Interior painting is all about maintaining a clean working environment and providing service that is a pleasure for our customer to experience. There is no greater feeling than watching the transformation from old to new. Exterior painting is far more complicated than interior painting. It’s not just about color, it’s about protection. Seattle weather is extreme and creates a tremendous amount of mold and mildew. Our repaint consists of: mold and mildew treatment, low pressure surface cleaning to remove cleaners and dirt, caulking to provide proper weatherproofing, spackling of compromised surfaces, spot priming of raw areas, protection of all the surrounding areas, and two uniform coats of high quality paint on the body and trim. The typical exterior paint job honestly only delivers color. That’s really a 3 to 5 year paint job. We have found our price quotes are consistently 30% higher than the average, however we are providing a protective painted coating that lasts 300% longer. While many painting companies only deliver new color, we provide your home with 15-20 years of protection and durability. Integrity Finishing has been in the new construction marketplace for over 29 years. We have painted everything from the multimillion dollar house with every bell and whistle to the $200,000 first-time homebuyer market. We have found that working hard and going to the highest end of the market has allowed us to work with the best of the best in the construction industry. That focus has been realized and has given us the ability and confidence to say we can paint almost anything in the new construction marketplace with great success. Millwork painting is Integrity Finishing’s specialty. Painting millwork is like painting a car. When you’re finished you want everyone to notice. The only way you can get that kind of finish is by adhering to proven systems. The average millwork today is nothing more than caulking, spackling, priming, and applying the finish coat. 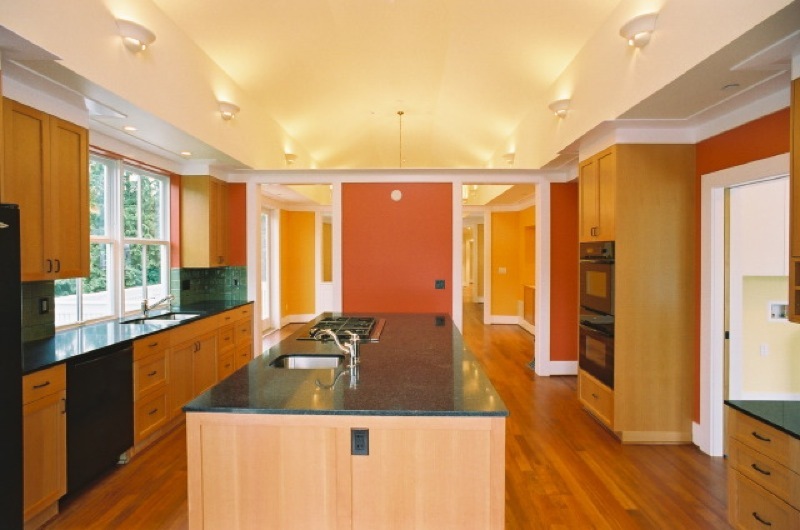 For the advanced millwork you’ll find in high-end homes a simple procedure just doesn’t cut it. I can guarantee that the discerning homeowner wants to show off their home. Showpieces such as banister systems, entry doors, large mantle pieces, wainscoting, and columns have to shine. Items such as these have to be defect free, extremely pleasing to the eye, and smooth to the touch. The only way you can produce these is with proven procedures and a lot of talent. Our intention is to provide a superior finish that every homeowner would be proud to show off. Integrity Finishing has been working with stains from the very beginning. This is without a doubt the most challenging finish to produce. Softwoods are very difficult to make uniform in color and tend to stain blotchy. Hardwoods are far easier to work with however when it comes to dark stains the denseness of the wood doesn’t want to absorb all the color so this also presents a challenge. The best way to produce the finish you want is about working with the application process. Consulting stain specialty stores with your target color will help identify a process to achieve uniformity and even color tone throughout the specific wood you are working with. This is our standard approach on all critical projects. Even the professionals know when to take their work to a professional. Integrity Finishing has been providing services to all kinds of multi-use buildings and tenant improvements for the past 29 years. Our first job was with United Airlines in downtown Seattle, painting and finishing surfaces throughout the building. We have continued our services for resturants, retail, offices, salons, industrial shops, and even doctors’ offices, which have special health requirements for using No-VOC paints. Most of these projects require special handling and after-hours scheduling, and we can work with these special requests. Whether you are looking to add a little color to spruce up your office, or a full-service paint job on a new commercial site, Integrity Finishing can help your business put its best face forward. We take a lot of pride in our work. Integrity Finishing can help you achieve your vision for any size paint job. Our customer service team is trained to paint everything in the residential and commercial marketplaces. 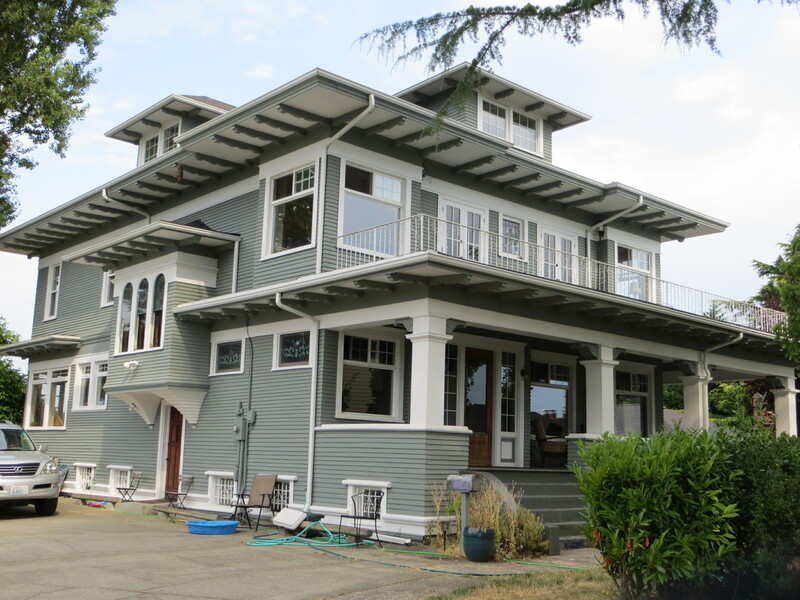 From specialized paint tools to hybrid paints, we are the premiere Seattle paint contractor that can get the job done on time and on budget. It doesn’t matter if we didn’t originally paint your home, paint is paint in simple terms. Our service team has been trained through years of experience to provide superior touch ups to new construction, accent wall painting, interior re-rolls, millwork and stain work, wallpaper removal, and a large variety of other services. If you have a painting need large or small, we have the resources and talent to make any project a success.